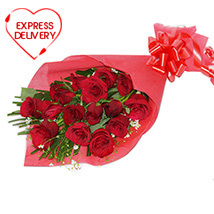 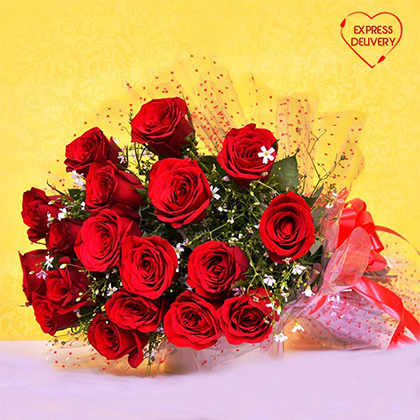 Cherish someone special by giving this beautiful bunch of red roses. 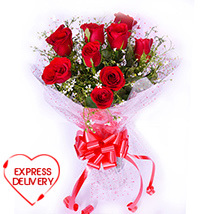 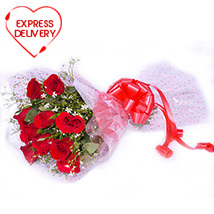 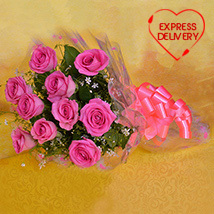 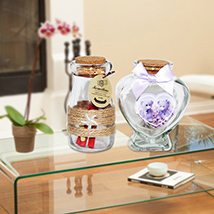 It consists of freshly plucked 15 Red Roses beautifully wrapped in transparent cellophane paper and ribbon. 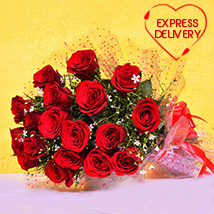 Disclaimer: Orders placed on before 3:00 pm IST/GMT will be delivered on the same day, while orders placed after will be delivered the next day.